Gilad Shalit speaks about his kidnapping and years in captivity. 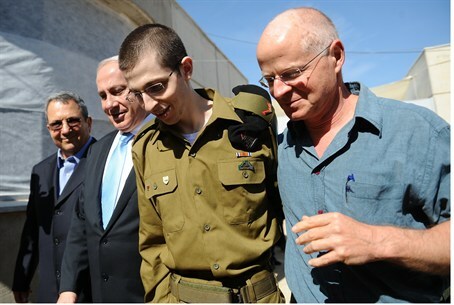 Gilad Shalit has described his kidnapping and captivity in an interview with Ben Caspit of Ma'ariv. Shalit was kidnapped in 2006 when terrorists attacked during a patrol just outside Gaza. He was 19 at the time. He was dragged back to Gaza and held captive for more than five years. Shalit revealed that he had not paid much attention to the briefing before the patrol, just outside Gaza, in which he was taken captive. “The commander listened, that was enough,” he explained. When he was kidnapped, he said, it did not occur to him to open fire. “I didn’t think of anything. I was in shock.” Two of Shalit’s fellow soldiers were killed in the attack that preceded the kidnapping, and he was wounded. Caspit reported that there were other soldiers in the area, but that Shalit was unaware of that fact because he had not listened carefully to the briefing. Shalit said he was not tortured during captivity “beyond a few incidents in the first few days.” In the first days of his captivity he was tied to the bars of his cell, he said, but his captors stopped doing that for fear he would be hurt. Shalit was freed in late 2011 in exchange for over 1,000 terrorists imprisoned in Israel. Since returning home he has largely avoided the public eye, and was reportedly unhappy with the results of a previous interview. He recently spoke publicly of his experience in an emotional appeal to United States President Barack Obama to free Jonathan Pollard.